Why Choose Umbrella Roofing Systems? 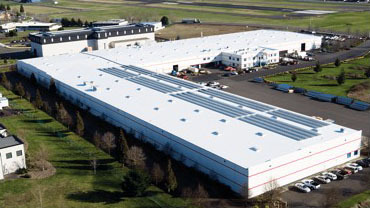 The custom-fabricated, single-ply Duro-Last commercial roofing systems are ideal for any flat or low-sloped application. Extremely durable and easily installed by Umbrella Roofing Systems Inc. without disrupting building operations, the Duro-Last roofing system is also watertight, highly reflective, resistant to chemicals, fire and high winds, and virtually maintenance-free. Umbrella Roofing Systems, Inc. has been installing the custom-fabricated, single-ply Duro-Last commercial roofing system for over twenty six years. Duro-Last is extremely durable and ideal for any flat or low-sloped application. Umbrella Roofing Systems, Inc. will perform a complete evaluation of the existing conditions of your roof. This includes coring the roof to examine the existing layers. Afterward, we can present solutions that will solve most any roofing issue at a fair price. Primarily, Umbrella Roofing Systems, Inc. does small repairs to flat roofs. With a call during regular business hours, we can schedule a technician. Umbrella Roofing Systems, Inc. can institute a maintenance program designed to yield long-term savings by extending the life of your Duro-Last roof installation. To prevent problems like ice damage, costly repairs, or even worse, a potential roof failure, it is good to have a snow removal plan for your flat or low-sloped roof. Umbrella Roofing Systems, Inc. can help you with snow removal on your flat roof. Get under the umbrella. Request a quote. It’s important to select the right roofing company with the best roofing system that will fit a client’s needs. Umbrella Roofing Systems, Inc. can get you “Under the umbrella” by installing “The World’s Best Roof” and end the bucket brigade.